Somewhere to sit, somewhere to eat, somewhere for the kids to play – with all of these functions, it’s no surprise that more and more people are investing in this type of extension to the living space of their homes. 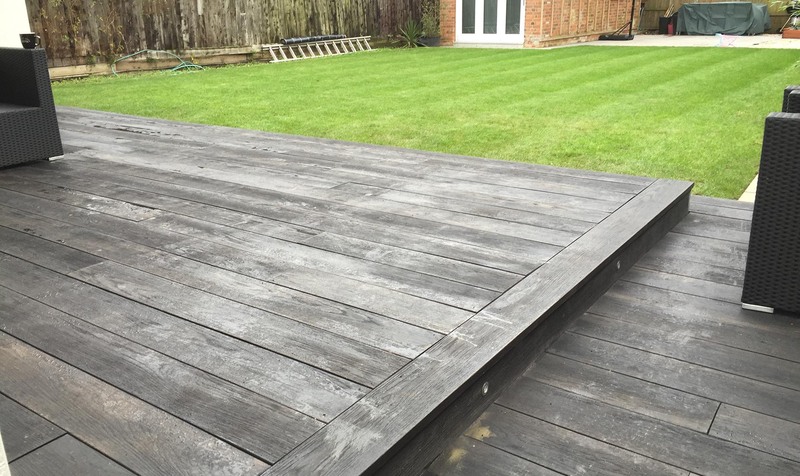 Our qualified landscapers use only the highest quality decking supplies to complete all decking installations. 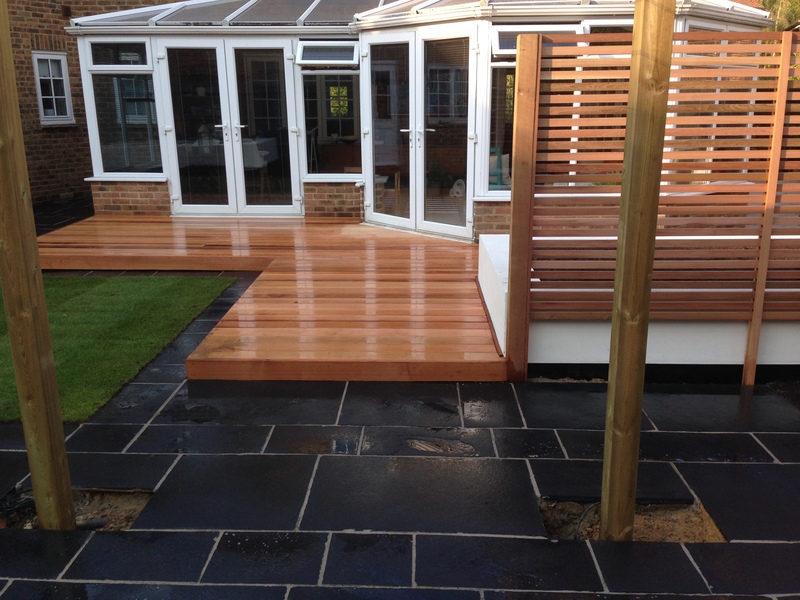 We aim to ensure that the decking in is completely finished in as shorter time as possible, minimising any inconvenience or disturbance to your garden! We are able to completely design, excavate, and install all decking for your garden offering you a convenient and affordable solution to your decking requirements. If you’d like to completely change the way you socialise in your garden, why not give us a call and we’ll talk you through what services we can provide for decking in Maidenhead, Windsor, and Ascot. Alternatively, you can get in touch through our contact form.